During his career, Dr Rosai has accumulated a comprehensive collection of slide seminars including histopathology slides of interesting and educational pathological cases with the comments by connoted pathologists. 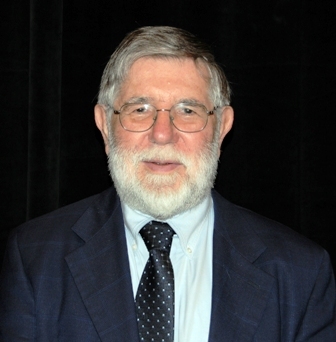 During the 2010 annual meeting of the United States and Canadian Academy of Pathology (USCAP), Dr. Rosai announced the donation of his entire slide seminars collection to the International pathology community as an open and free educational and historical resource. The transformation of this precious collection into digital, 24/7, anytime-anywhere accessible format is in progress in a collaboration between Juan Rosai, USCAP, and Aperio Technologies, Inc. (Aperio), and is presented here in a new format. This collection consists of almost 20,000 cases originally presented at more than 1,400 pathology seminars (1945 – present), 5600 of which have been digitised already. The digital images of the original histopathological slides are supplemented by seminar notes that contain clinical histories, diagnostic summaries, along with present day commentary by Rosai and other experts. It is hoped that you find the digital slides useful as a reference and for teaching purposes.